Excited for another year of games! Great news, good they reverted the silly "get foreigners out of Korea" rule; getting rid of full region lock could not be expected, but not actually make it worse is at least something. Foreigners can not steal Korean money, the money is only there because of foreigners. GSL viewership is mostly foreigners and the biggest hype is for foreigner vs Korean games. A foreigner ban would most likely hurt viewership and put the future of GSL in danger. 2 to 3 GSL spots taken by foreigners is more than worth it to keep having GSL. This is a bold statement, can you prove it? Isn't most of the money from Blizzard and Mountain Dew? Both owned by American companies. Sadly fuzic doesn't show the korean numbers for gsl if i am looking at it correctly, so one would have to wait till tomorrow to compare the numbers live. We can still look at vod numbers though. Let's compare twitch vods and youtube vods with afreecatv vods and the numbers paint a fairly clear picture. I am not sure if the korean casting can be found on youtube anywhere, but comparing the afreecatv vods to twitch vods is fairly reasonable i think. If there are other korean vods (on naver ? idk) which would lead to a different pov let me know. People interested in the region lock stuff should watch the most recent pylon show. Artosis and Noregret are definitely most suited to talk about this. 1h35m15s if the timestamp doesn't work. You make this sound like this is some lucky occurence or sth. In reality Starcraft is Blizzard's most popular esports title. WCS finals were watched many many many times more than Overwatch and the rest. If no Starcraft 3 or Warcraft 4 releases in the next few years we will get many more years of games of SC2. based on Incontrol's comments and the panelists reactions to his comments I'd say Sc2 eSports in 2020 is not a sure thing. TL;DR paraphrasing Incontrol: "things look bright for SC2 but it is important to remember that our time with this game is not infinite"
I wouldn't have used vods if i had a source for the live viewers, i already said that i didn't find them on fuzic for the korean stream. Again, just look at the live numbers tomorrow. In general vod numbers are a good indicator though, completely neglecting that seems unreasonable. This is a statement that I simply can not imagine an American ever making. It is pure conjecture and is... well to be honest it betrays your sub conscious bias that you think it's true. Maybe a Trump supporter would say this (feel obligated to call this out when I see it). Scarlett is literally the most famous and popular foreigner in the history of Starcraft. That is why when she is in GSL, her group gets better views on average (assuming this even happens). If SortOf was in the GSL, do you think anyone would care? Why would I want to watch SortOf get rolled by Leenock and alive? 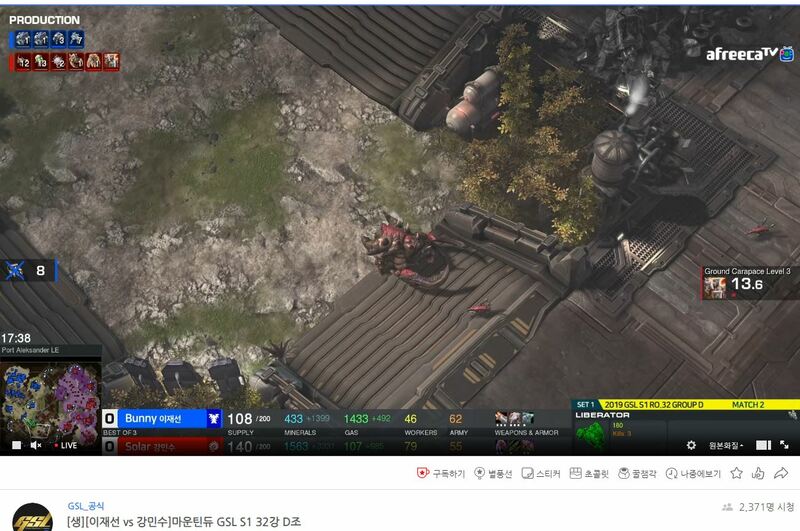 You think that having Noregret in GSL skyrocketed viewer numbers? No - no one cares. The only foreigner that boosts ratings is Scarlett because she is awesome. Everyone would prefer to see Bomber, MC, and partinG etc. than these foreigners that have never acheived anything in this game. Now, you put any of the top 15 Koreans in WCS and the hype would be unreal. I know it's hard for you to imagine that many white people might not currently be watching the WCS (and instead only watch GSL), but it's true. Koreans aren't the only new viewers you would get from including Koreans in WCS. VOD numbers are bad indicator if you are comparing a region who has the capability to watch live easily and regions who can't watch live easily. This isn't as easy as it sounds. If we had the numbers it would have been a different story but we don't have them, do we? In one of the early episodes ARtosis have shown grudge and how he's still pissed off about WCS NA back then. I'm not gonna trust such person who just wants to see a revenge. NoRegret has money in foreigners in GSL. The only objective person I would listen to is OutOfControl. Well i disagree that the comparison is bad even when you make up for your argument (which is true ofc, there will be relatively more live viewers from korea). Except its a pretty much universally accepted fact that Korean vs Foreigner are the highest viewed matches across the history of SC2, including the GSL, however viewership in all events dropped significantly during the "unregion-locked" period. So ya know, historical evidence gives credence to his opinion. Dude did you freaking watch 2013-14 Starcraft? Not everyone cares about this artifically created "foreigner vs korean" storyline and there's certainly no evidence that those matches get higher viewer numbers. Is that just how you perceived it, or can you present some links to evidence? StarCraft II was always planned as a 2 expansion piece, and LotV hadn't even come out then. I don't see how it would be 'on the chopping block' from Blizzard's point of view (WCS prize funding from blizzard stayed the same between 2013 and 2015). Maybe you could argue third parties started losing interest in 2014~2015, but 2013 was the biggest year of third party 'premiere' tier tournaments. It peaked a little over 2.4k so far while the english stream was at 10.5k already, add to that the disparity in vod numbers and the picture is fairly clear.